Aberdeen City is a vibrant modern city full of life, set on the East coast, and close to some of Scotland’s greatest Landscapes. The city is also full of historical buildings with their granite grey architecture, which is why Aberdeen is also nicknamed “Granite City”. Aberdeen is Scotland’s third largest city and within this wonderful area of Scotland you have easy access to the Cairngorm national Park and Royal Deeside. Also nearby are Balmoral and other grand castles and houses as well as the beautiful Aberdeenshire Coast. 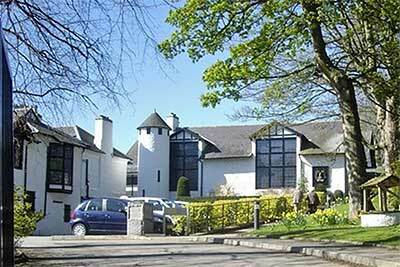 Within a relatively short distance are many of Scotland’s best distilleries and along the Spey Valley Whisky Trail and surrounding area you can enjoy tours to Glenfiddich, Glenlivet and many more smaller distilleries. This area is a dream for whisky Lovers. If you prefer to stay in Aberdeen then there are tours available within the City. Visit King College, part of Aberdeen’s University, or take a browse around Aberdeen harbour and enjoy some delicious Fish and Chips. Then finish off the day with a trip to Duthie Park where you can enjoy a nice drink or a visit to Aberdeen’s Winter Gardens, that is the largest indoor garden in Europe. Whatever you decide to do, you will enjoy your time in Scotland’s “Silver City Beside the Sea”. Aberdeen thrived as a city ever since the discovery of oil in the North Sea in the 1970’s, and currently has around 50 oil fields although that number is now somewhat in decline with the fall of global oil prices. But Aberdeen is not just about oil, the city is softened by numerous gardens with floral displays lightening the grey buildings all year round. 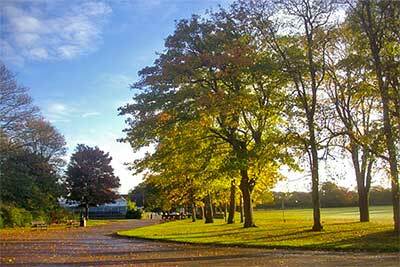 With quite a number of city parks and gardens, Aberdeen is the ideal place for gardening enthusiast and photographers. In fact Aberdeen has won the Britain in Bloom award an amazing ten times. Aberdeen was given the title of a royal Burgh by David 1st of Scotland and helped the city thrive economically. The city has 2 universities, the university of Aberdeen and Robert Gordon University. Aberdeen university was founded in 1495 whereas the Robert Gordon university was more recently given the status in 1992. The city has an amazing history as it has been a settlement for around 8,000 years, and was once a key centre for trading and fishing. Aberdeen was under English rule during the wars of Scottish Independence, before Robert the Bruce attacked Aberdeen castle and destroying it in 1308. He then followed on with the massacring of the English army’s garrison and retaking the city for the people of Aberdeen. There were many more wars in the city and during 1644-1647, the wars of the three kingdoms, Aberdeen was taken by the royalist army after the battle of Aberdeen. After the wars the city was unfortunate to have an outbreak of the bubonic plague in 1647 that killed at least a quarter of the city’s population. In recent days Aberdeen’s past trade of fishing, textiles, ship building and paper mills has been replaced with development of high tech businesses and the research into agriculture and of course oil. Fishing still plays an important part in Aberdeen’s economy. Grey Granite was once a profitable business in the city with the famous stone once quarried at Rubislaw Quarry. The granite was once used for buildings, paving and monumental work. Aberdeen’s granite was also used further afield and played a large part of London’s famous buildings like the Houses of Parliament and Waterloo Bridge. The quarry ceased in 1971 and has current plans of a heritage centre on the quarries site. 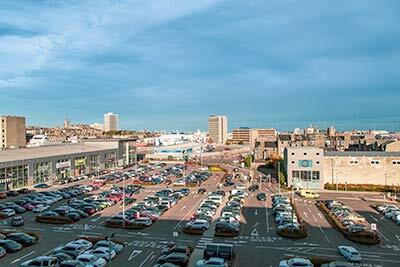 Shopping plays an important role as the city has recently developed to become the third largest place to shop in Scotland. With recent developments like Union Square and other shopping centres the old shopping streets like Union Street and George Street are now complemented and make the city a great place to shop. To the east of Aberdeen, north of the harbour, is Aberdeen Beach and Esplanade. The Esplanade is a road directly next to the beach which lies between the harbour and the river Don in the north. It’s great to drive and the views over the North Sea are fabulous. It’s great to watch the mostly oil industry related ships entering and leaving the harbour. Parking is available so it’s easy to go out, walk and access the sandy beach. At the south-side of the Esplanade is a leisure centre with John Codona’s Pleasure Fairs, Queens Links Leisure Park, a cinema, shops and several restaurants on the seaside. Your kids will thank you for visiting! 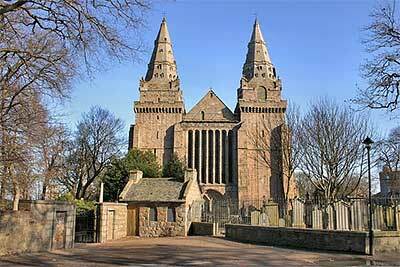 There are many things to do in Aberdeen, from gardens to museums, lovely walks, shopping and many bars and restaurants. Below we have listed just a few things to visit whilst in Aberdeen. 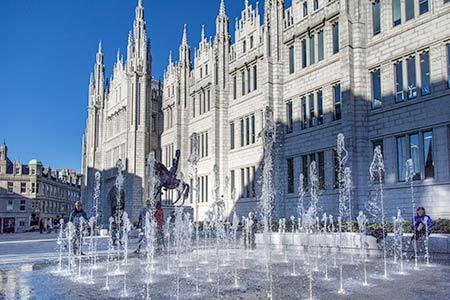 The above places to visit are just a small number of things to do in Aberdeen, other places worth a visit are His Majesty’s Theatre, Aberdeen Art Gallery, Craigievar Castle, Kings Collage Chapel, Johnston Gardens and Duthie Park just to name a few. 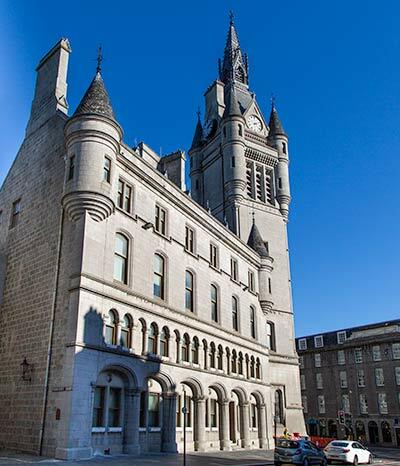 Visit our Aberdeen Hotel Guide for Hotels and B&B’s in Aberdeen’s City Centre.